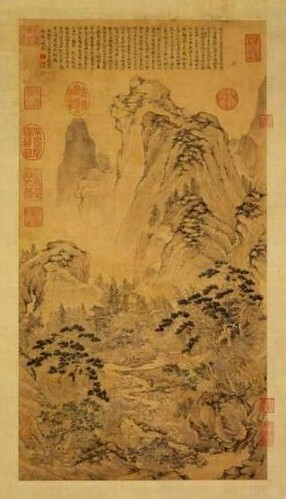 Qiu Ying (仇英, ca.1494-1552) was a Chinese painter of the Ming Dynasty who specialized in the gongbi (工筆, meticulous) brush technique. Qiu Ying's courtesy name was Shifu (實父), and his pseudonym was Shizhou (十洲). He was born to a peasant family in Taicang (太倉) of Jiangsu Province. Moving with his family to Suzhou (蘇州), Qiu Ying was apprenticed as a lacquer artisan. 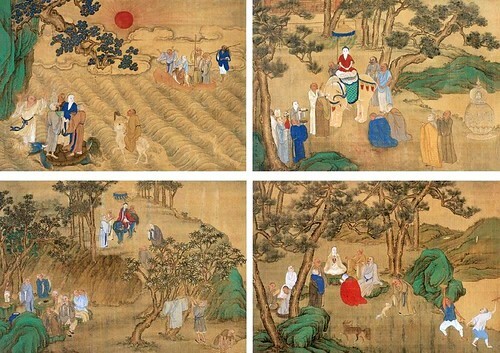 He later learned the art of painting from Zhou Chen (周臣, ca. 1450-1535) and imitated ancient works of Tang (618-907) and Song (960-1279) dynasties, becoming so successful that his copies and the originals were indistinguishable. 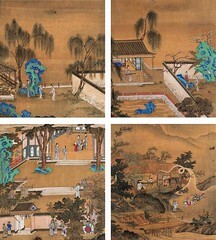 Though Suzhou's Wu School encouraged painting in ink washes, Qiu Ying also painted in the green-and-blue style and incorporated different techniques into his paintings. 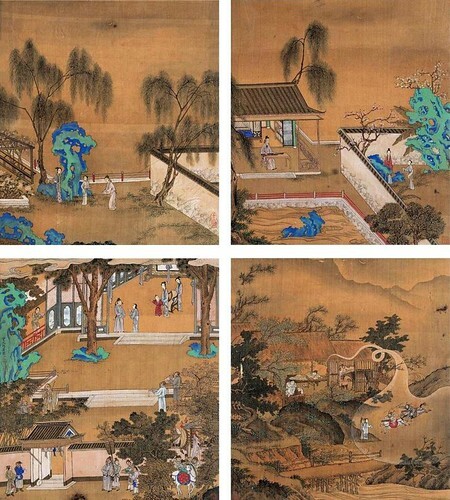 He painted with the support of wealthy patrons, creating images of flowers, gardens, religious subjects, and landscapes in the fashions of the Ming Dynasty. His talent and versatility allowed him to become regarded as one of the Four Great Masters of the Ming Dynasty (明四家), along with Shen Zhou (沈周, 1427-1509), Wen Zhengming (文徵明, 1470-1559), and Tang Yin (唐寅, ca. 1470-1523). 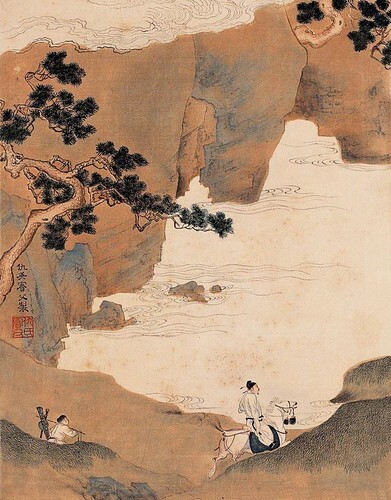 Qiu Ying's use of the brush was meticulous and refined, and his depictions of landscapes and figures were orderly and well-proportioned. In addition to his paintings being elegant and refined, they also are quite decorative.